Not using it? Let's change it! We started with a blank slate on the formal living room in this new home. After five years, the client decided they did not utilize the room and rather than use it as a pass-through to get to their large family room, they would turn it into something they use. 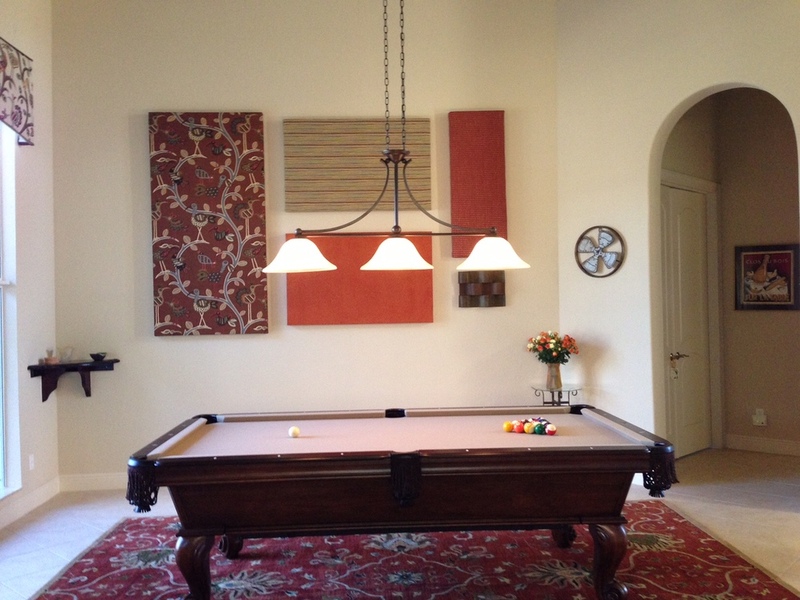 Worked with the client on selection of pool table and lighting, suggested fabric stretched on canvas for artwork, selected rug. A fun entertainment room that gets a lot of use!